I was late to get to one of Kentucky’s better known bands – I saw several reviews of the debut self-titled LP, nearly all of them touted it with much acclaim, but I’ve still not heard it. So, maybe jumping into this second album without hearing the first was a bad idea. Or maybe not… because it is pretty good. The album is largely made up of songs that hit all the right points – they’re catchy, they’re light, and they move from one another with an energy that would make the album sound great, even if it wasn’t. And so, without knowing what their first album sounded like, this energy is what sticks out to me. 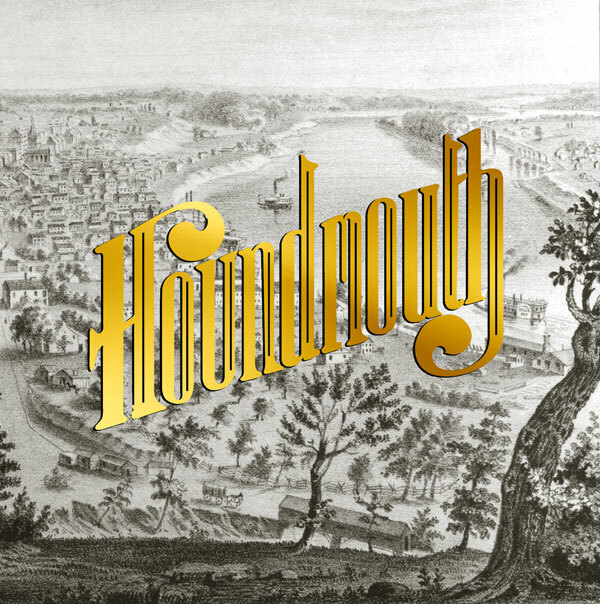 It’s confidence, it sounds like summer, and it sounds like the members of Houndmouth are having a genuinely great time playing music together. Myers and Toupin’s voices blend together well – she does an excellent job of outlining the upper melody, while he takes the low – both with the unmistakable twang-and-bit-of-grit that you find in Kentucky and the rest of The South. The South, it so happens, is where they’ll be spending much of their summer: with their tour stopping at festivals like Forecastle and Bonnaroo, their energy ought to translate well to the large, open crowds. They remind me a lot of a band they’ve opened for in the past, Alabama Shakes, both of which have been heralded as revivalists of the southernrootsbluesrock movement in the last few years. Maybe it’s the southern boy coming out in me, but From the Hills Below the City is one of my favorite albums to come out of the area for quite a while – it’s fun. Tracks I Liked – On the Road!, Come on, Illinois!! !, Penitentiary! !, Casino (Bad Things)! !, Krampus!, Long As You’re At Home!, Houston Train!, Halfway to Hardinsburg! !, Palmyra!